Russian Lawyer Mark Feigin who represents Ukrainian journalist Roman Sushchenko does not rule out that his client, who was illegally sentenced to 12 years in a Russian prison on trumped-up espionage charges, may plea for pardon. "By the way, Roman is ready to write this miserable paper with a request for pardon – I do not see any problem in this, and Roman agrees with me," Feygin told Pryamyy TV. "It does not matter what you write, the main thing is to return to Kyiv," Feygin said. He added that Sushchenko does not plead guilty and does not consider that "a pardon plea means that you plead guilty". "We count on the political participation of Ukraine's leadership in promoting Roman's exchange in talks with Moscow, with the Kremlin," he said. 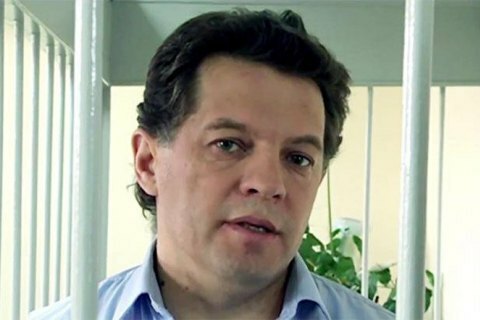 He suggested that Sushchenko could be exchanged for Ukrainian Prime Minister Vlodymyr Groysman's interpreter Stanislav Yezhov, who was charged with high treason.